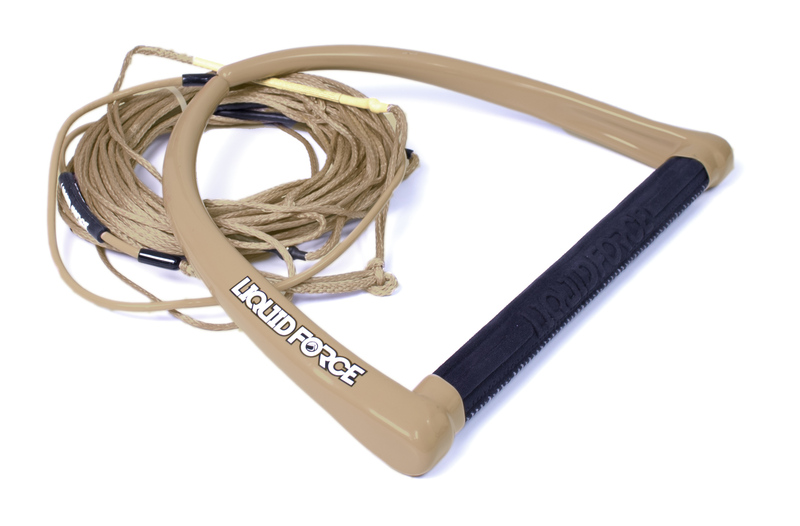 The Liquid Force Henshaw is Kevin Henshaw's pro model handle made to his specifics. Kevin rips the cable park but you can use this handle for either cable or boat. Kevin chose a unique boxcar molded Ultra suede handle designed with the larger hand in mind. Its soft, yet durable design provides superior grip and amazing comfort. The Henshaw Pro handle is partnered with a 100% non-stretch Dyneema line, strong no flex and very comfortable handle.